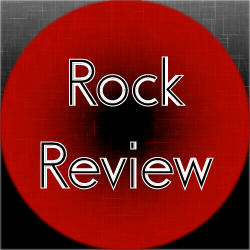 This review covers the rock remix track SSH – Lufia II – Battle 2 + 3. It is unclear when this track was released. Metadata obtained by Freezenet suggests this track was released in 2012, but there is no way to verify this. We do know that it was released online for free at one point on the artists official website. The track itself is a remix of two tracks found in Lufia II – Rise of the Sinistrals. Those tracks are Battle Theme 2 and 3. Battle theme 2 is heard when the player encounters a boss. Meanwhile, Battle Theme 3 is heard when players fight a Sinistral. The track starts off with a rock remix of Battle Theme 3. It utilizes some synth string backed by several guitar chords. After the track plays out about 2 times or so, the track more or less melds into the second battle theme. This is played out once, the track melds back into the previous battle theme. That theme is then played out once again before the track ends. One thing I do like about this track is the guitar work. It is very solid work. The intro id definitely a highlight of this. It really gives that chiptune track a very rock edge. The synth used as lead melodies pretty good as well. It counterbalances the rock elements pretty well. One thing I’m not so sure about here is the fast kick sounds. The quick snares and other hits aren’t so bad. The fast kick seems a bit much in terms of presence and could have been toned down a bit. Still, I really like the fact that two themes are mixed into one. In fact, the themes do mesh quite well together. I can’t really think of any way it could have been improved on to be honest. Overall, this is a great track. The guitar work is top notch. I think the synth leads aren’t bad as well. The kick sound might have been laid on a little thick, but it is otherwise a very nice arrangement of an already great pair of tracks.